Miami chef Brad Kilgore has taken full ownership of his acclaimed restaurant Alter and launched a new multiconcept group called Kilgore Culinary Group as he expands with two new concepts later this year. Founded in 2015, Alter is Kilgore’s first restaurant, launched initially with a group of investors. Kilgore said he bought out all but one silent partner that remains, giving the chef full ownership, so the restaurant could become a cornerstone for the newly created group. As chef at Alter, Kilgore has twice been a semifinalist for a James Beard Award as Rising Star Chef of the Year, in 2016 and 2017. This year he was nominated for Best Chef: South. His background includes stints at the Chicago restaurants Alinea, L2O with Laurent Gras, and Epic. In Miami, Kilgore established his reputation at the restaurants Azul and Jean-Georges Vongerichten’s J&G Grill before opening Alter. Now the chef is poised to open two new concepts starting in November, sharing one location in Miami, one on top of the other. First to open will be the 70-seat Kaido, an Asian restaurant and lounge with a heavy cocktail emphasis. Kilgore said he is working with mixologist Nico de Soto on the bar menu. A goal of the restaurant will be to put the experience in the hands of guests, he said. Servers will ask diners what their “vision for the night” is, whether a quick bite or a more drawn-out sampling of food and cocktails. At the bar, Kaido will offer an exclusive 12 seats devoted to a multi-course tasting menu with cocktail pairings. “We’re moving away from the traditional appetizer, entrée and dessert set up,” he said. 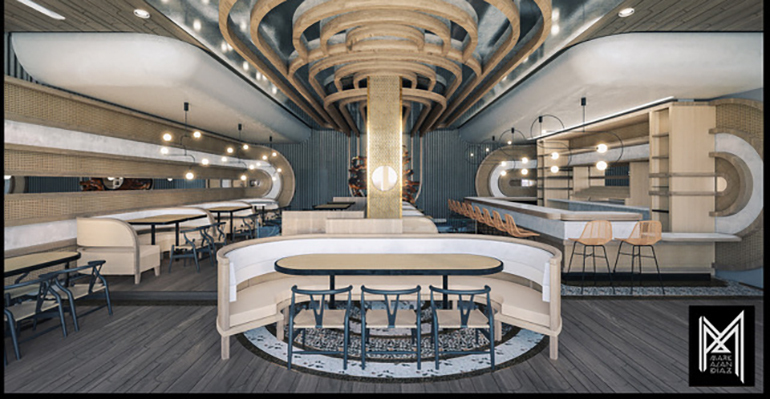 Food will include robatayaki with shareable small plates, including interactive dishes like Uni Fondu, which will include a pot of uni crema — served in custom-made bowls to mimic the shape of a sea urchin — into which guests can dip steamed buns, vegetables or seafood. On a sashimi menu will be what Kilgore described as “Floridian fugu,” using an invasive species of lionfish that is threatening coral reefs. Florida chefs are combatting the venomous fish by adding their delicate white meat to menus. Unlike Japan’s poisonous fugu, or puffer fish, lionfish are not hazardous to consume, said Kilgore. 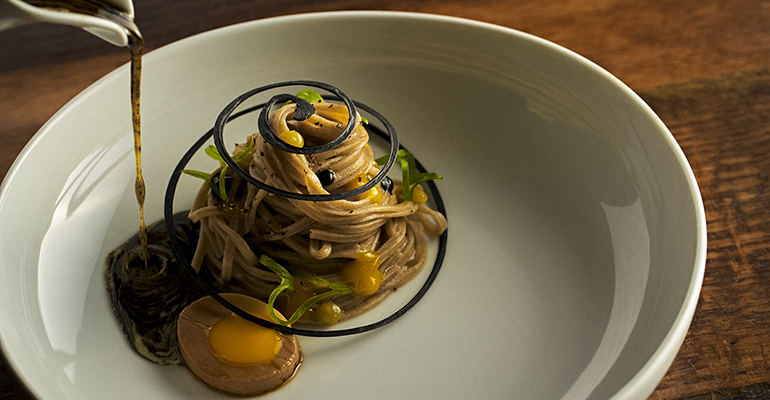 Sister concept Ember is set to open downstairs by early next year. The chef said he plans to grill things not usually grilled, like a slice of terrine, such as a pâté, that might be served with a demi-glace and watercress salad. And there might be wood-fired lasagna, he said. Ember will have a josper oven in which Kilgore bakes lasagna in a way that capitalizes on the crispy charred edges that are often a popular feature of the pasta dish. Slices of the wood-kissed lasagna will be served with a seasonal ragù. Not part of the group, but part of the family, is an ice cream concept by Kilgore’s wife, Soraya Kilgore, who is a pastry chef. Soraya Kilgore recently launched Mad Lab Creamery in Miami, which features highly Instagrammable soft-serve ice cream and gelato with toppings like edible glitter and cotton candy, along with Japanese cheesecake and chocolate bark. “We have some big ideas for that,” he said. This story has been updated to clarify the timing of openings for Kaido and Ember.